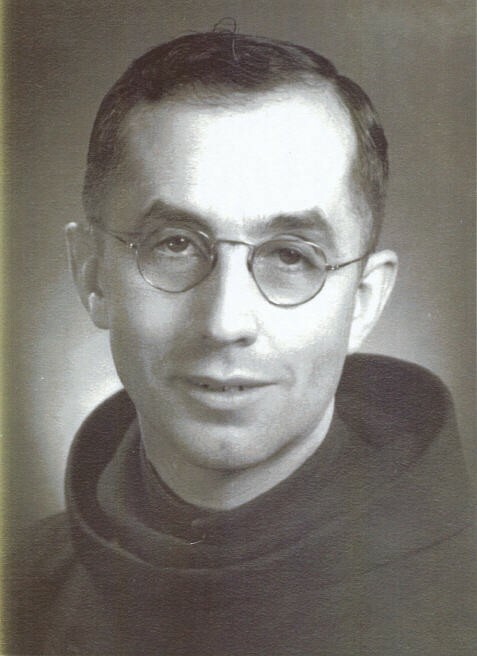 He joined the Hospitaller Order in Canada at the age of 25 and made his religious vows on 20 November, 1932. After holding various posts in his Province, he asked to be sent as a missionary to Indochina (Viet Nam) to begin assisting the sick, the war-wounded, the children and the poor in a country embroiled in a bloody war. After devoting himself entirely to providing hospital care and formation to young Brothers he fell ill, and died in the odour of sanctity after suffering a heart attack. He was buried in the garden of the house at Bien-Hoa, where his grave is constantly visited with great veneration. The Servant of God was a deeply devout man, who spent his life dedicated entirely to his vocation as a true apostle of the sick and suffering, exactly like the Father Founder of the Order, John of God. He once said, "All worldly honours are nothing but the smoke and fire of burning straw. All that remains is the little good that we have done, if we have managed to make the most of the grace which our good Lord has given us at every instant in our lives”. This is a most fitting thought for us to bear in mind as we venture out along our Lenten path, after receiving the ashes on our heads to remind us of our fragility and of the transitory nature of earthly life, echoing what St John of God recalled in his letter to the Duchess of Sessa: “Everything perishes except good works” (1DS, 6). Let us pray that our Lord will grant that his faithful servant, William Gagnon, will be raised to the honour of the altars as soon as possible.